Few love the bike as Kyle Damon (born Kent T. Damon Jr) does. 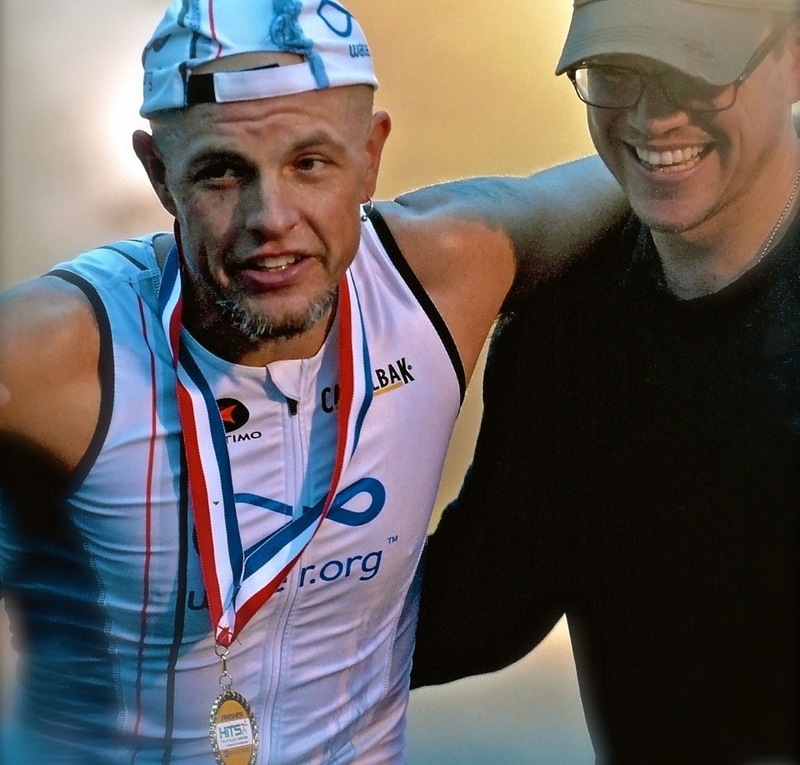 His nearly three hundred different lifetime races culminated in 2012 with a USAT All American Honorable Mention and an overall win at the HITS Hunter Mountain Iron Distance Triathlon. KD's other passion is fine art. He studied at the art department at the University of MA at Amherst and at the Academy of Fine Arts in Brugges, Belgium, and earned a BFA from the Boston Museum School and Tufts University. For over two decades, he's both raced and exhibited in prominent venues throughout the United States and abroad. The name "Nomad" is Damon backwards, and originates with his father's sailboat. And the original Nomad was – like the many that followed – a healthy and enriching way to see the world. Each Nomad is personally handcrafted by KD in Massachusetts, and designed to suit the technical specifications and aesthetics of its owner. Great care goes into ensuring that every Nomad bike is worthy not just of the name, but also of the rider. KD's brother, actor Matt Damon, co-founded Water.org, a nonprofit that provides clean water in developing countries. Kyle has been fortunate to travel with Matt around places like India, Africa, and Haiti to learn first-hand about the value of sustainability; and he is determined that the concept is embodied in few places better than in the bicycle. In 2011 Kyle and a handful of riding partners created TEAM.Water.org, whereby member athletes pledge to match their race entry fees with a donation to Water.org. Today, this modest initiative is responsible for changing more than a thousand lives in developing countries. To further this mission, each Nomad sold will result in one such person gaining access to clean water for life. Matt Damon, for buying NB's first bike, despite having no immediate plans to ride it. L.B. Hetherington and Elissa Traher, for the photo/design services perk of our 25 year friendship. Anthony Laskaris, for turning enough wrenches on my behalf to develop asymmetrical biceps. Jordan Low, for teaching me what I didn't learn about paint in art school. Toby Stanton, for the innumerable tools - not just literally - essential to bike building. Mike Zanconato, for affording Toby periodic breaks from me. Lastly, my heroic riding partners - not the least of whom are my wife and sons - for pulling when I'm knackered (again, not just literally).